Stitch a Star for Justice explores the history of police torture in the city of Chicago. Between 1972 and 1991 over 100 African Americans experienced torture at the hands of Chicago police detectives on Chicagos South Side. 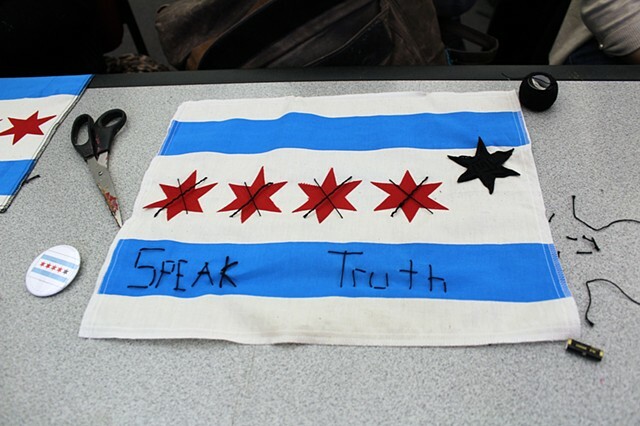 Members of the public were invited to sew a fifth star onto the city of Chicago flag, to raise awareness about the history of police torture, and generate discussion about racism and injustice.